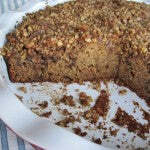 This recipe takes the classic peanut butter and apple childhood snack and turns it into a moist, flavorful grown-up coffee cake. 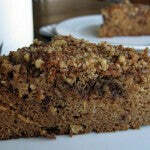 I used Old Fashioned Crunchy peanut butter to give the cake a little more texture and interest. Eat this at breakfast or as a snack with your afternoon cup of coffee. Or, if you’re really feeling indulgent eat a warm slice with a scoop of vanilla bean ice cream. 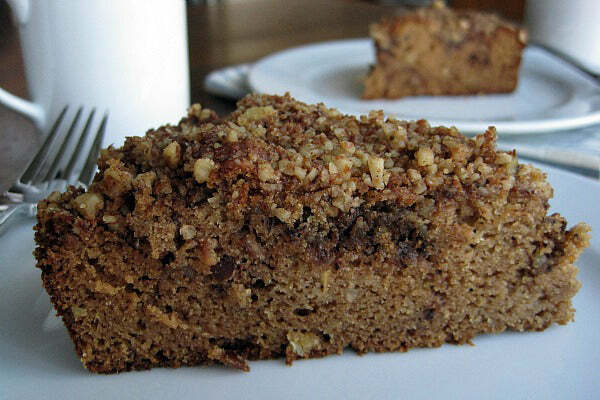 My good friend, Kelly, from The Spunky Coconut inspired this dish with her Blueberry Coffee Cake. I wanted to make something not only gluten-free but grain-free for all those who can’t tolerate grains. As a bonus, it’s dairy-free too. 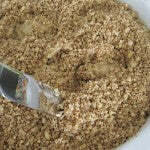 Put the walnuts, coconut oil, coconut palm sugar, and cinnamon in a food processor fitted with a steel blade. Pulse several times to combine then process until walnuts are finely ground. Don’t over-process or you’ll have walnut butter. Set aside. 1. Preheat the oven to 350°F. Lightly grease a 9-inch round ceramic baking dish. 2. 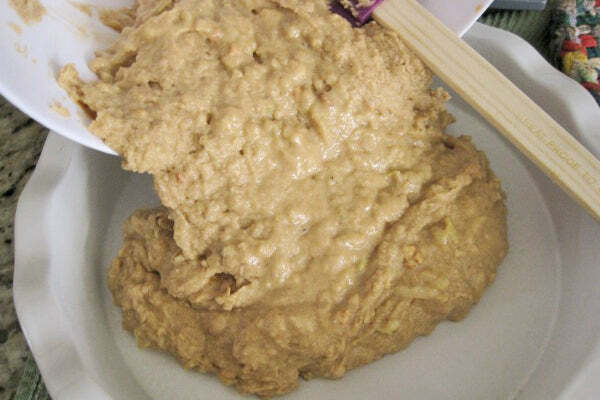 Use a handheld mixer to beat together the eggs, grated apple, Old Fashioned Crunchy peanut butter, honey, oil, applesauce and stevia until combined. 3. 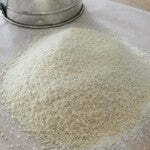 Sift together the almond flour, coconut flour, tapioca flour, baking soda, cinnamon, baking powder, and salt. 4. 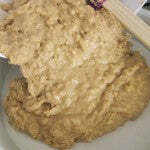 Add the dry ingredients to the wet ingredients and mix until smooth. 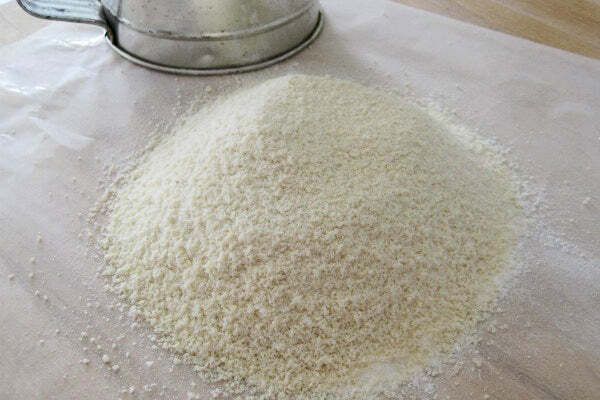 Turn batter into prepared ceramic baking dish. 5. 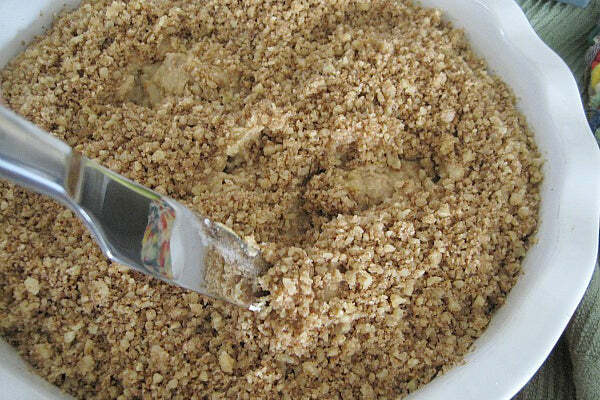 Spread crumble topping over cake batter. Use a knife to swirl the topping into the cake. Press topping down into the batter. Bake for 30 minutes, then cover with aluminum foil and bake for another 10-15 minutes until a toothpick inserted in the center comes out with just a few moist crumbs. 6. Let cool for 15 minutes before serving. Store covered at room temperature. 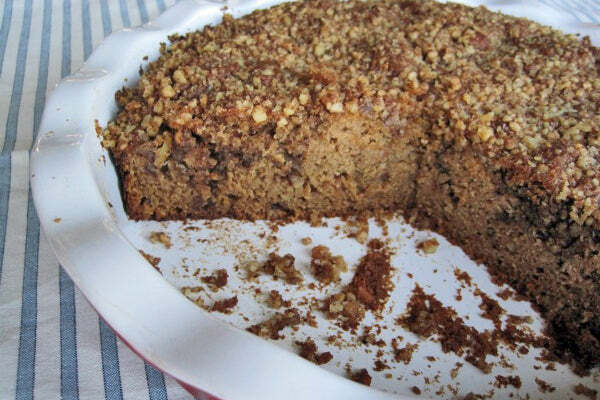 Besides apple, what other fruits would pair well with Old Fashioned Crunchy peanut butter in a coffee cake recipe? 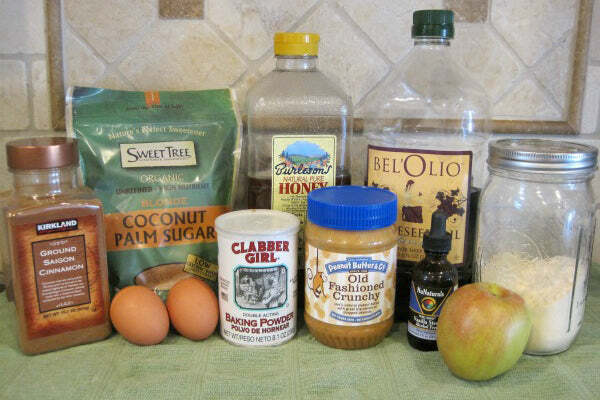 Leave a comment below and on Monday, July 30, 2012 we’ll choose a random commenter to win a 16oz jar of Old Fashioned Crunchy, the peanut butter used in this recipe! US residents only. The random winner is Rebecca. 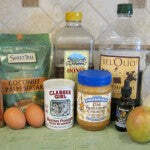 The post Peanut Butter Apple Coffee Cake appeared first on - Peanut Butter & Co. Recipe Blog.